Medical sales is a high-paying, rewarding career, offering various areas of sales for representatives to excel. While representatives in surgical sales must be prepared for change, this year, that change is more exciting than ever. 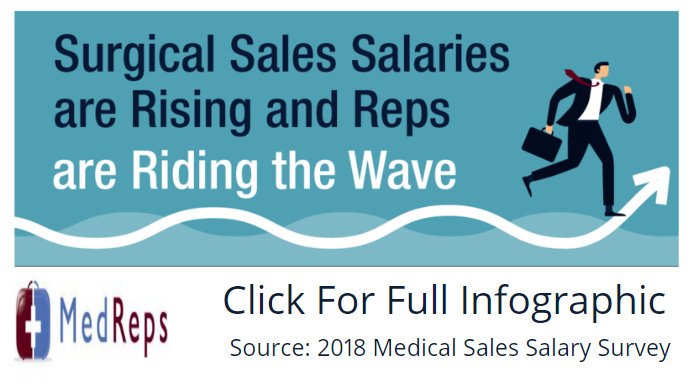 According to our 2018 Medical Sales Salary Survey, surgical sales saw a slight drop in base salary, but bonuses and total compensation have increased since last year. In fact, the average total compensation in 2018, of $165,962, is the highest in the last three years. Respondents who were employed in surgical sales totaled 658. The majority (78 percent) reported working as field sales representatives and 72 percent were employed by manufacturers. Respondents in surgical sales stick it out for the long-haul. In fact, more than half of our respondents (64 percent) reported working in the field between six and 20+ years. 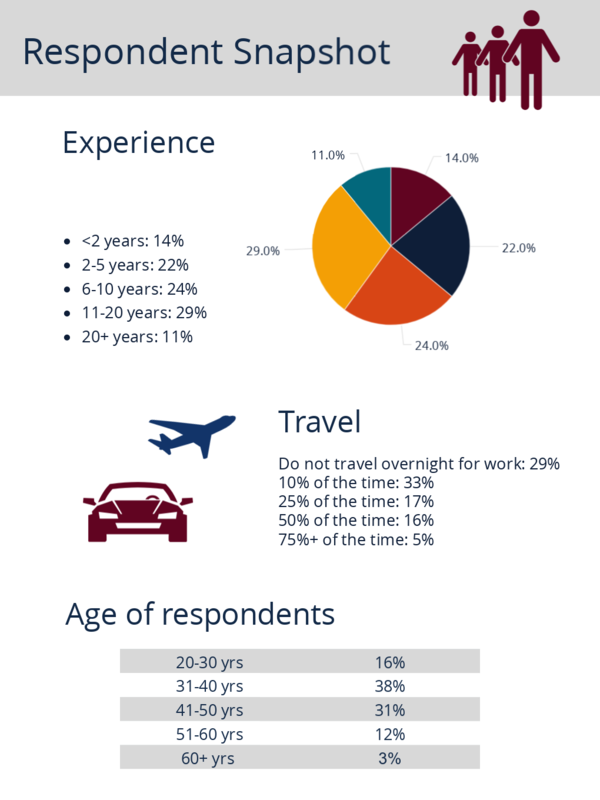 Additionally, 71 percent have traveled for their careers. Medical sales is competitive for job seekers, representatives in the field, and hiring pros, alike. In every field, representatives are working hard to maximize their earning potential. In the last three years, surgical sales reps have done just that. This year, they rank second for income potential, coming in only slightly behind medical equipment. Surgical sales advancements aren’t slowing down anytime soon — and neither are representatives. There’s no doubt that those who are willing to stick around and put in the work are reaping the most benefits. 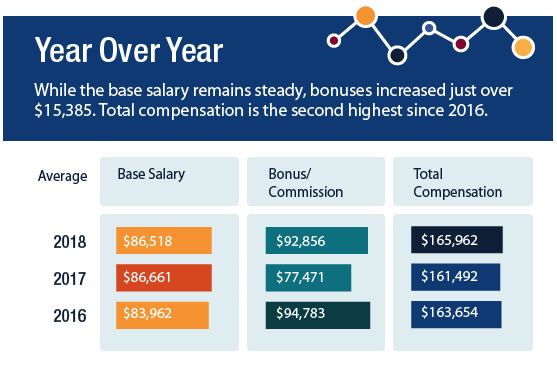 Base salary, commission, and total compensation steadily increase for those with more years of experience. In fact, those who have been in surgical sales for over two decades earn a total compensation of $192,232, that’s over $105,000 more than those who have just under two years of experience. Reps who want to grow beyond field representatives have a great opportunity for maximum earnings, especially in surgical sales. Those in sales management earn over $38,000 more in base salary compared to sales representatives. When it comes to highest total compensation, large companies offer the highest payout of $170,348. However, those working in smaller environments still earn an impressive living. Actually, small companies earn the highest base salary of $95,176 and medium-sized companies offer just under $2,000 less in total compensation than larger companies. The majority of surgical sales respondents reported working for manufacturers — and we can’t blame them. In fact, they pay the highest average commission ($95,115), which pushes them to the top in highest total compensation ($170,348). Service providers and distributors, however, offer the highest base salaries. Typically, the more representatives travel, the more they earn in base salaries. Surprisingly, in surgical sales, those who travel the most don’t earn the highest total compensation. In this field, traveling just 50 percent of the time brings in the highest total compensation ($180,538), with a base salary of $109,076 and commission of $72,825. Female surgical sales reps earn nearly $29,000 less total compensation than their male counterparts. 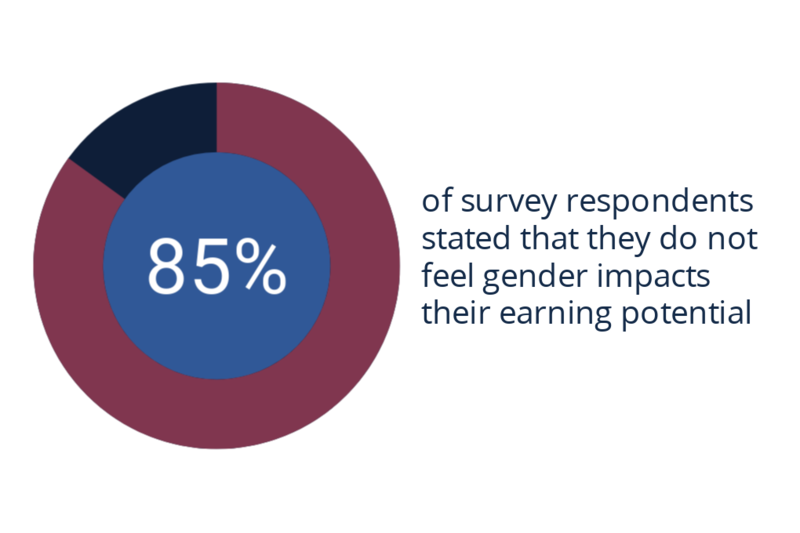 Surprisingly, though, most respondents (85 percent) feel gender does not impact their earnings. Only 7 percent feel gender has a negative impact on how much they earn. But the pay gap is undeniable in all three income categories — base, commission, and total compensation. In fact, women earn $64,639 in commission, while male reps earn $97,992. That’s more than a $33,000 gap. 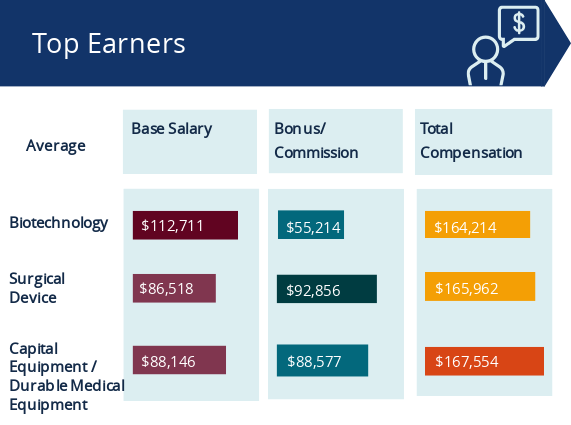 Even though surgical sales reps earn one of the highest total compensations, they’ve reported the lowest level of income satisfaction compared to respondents in other industry segments. 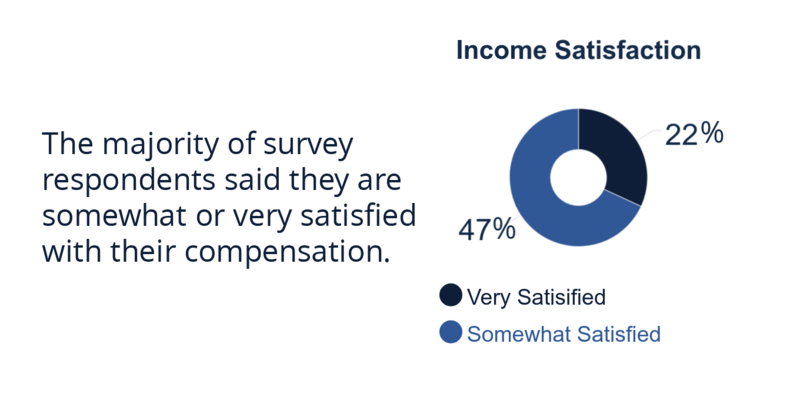 However, while their satisfaction may be the lowest of those surveyed, an impressive 69 percent are still very or somewhat satisfied with their compensation. When it comes to overall job satisfaction, the majority of surgical sales reps (80 percent) are very or somewhat satisfied with their jobs. High levels of job satisfaction in surgical sales doesn’t come as a huge surprise. Along with generous compensation, reps earn great benefits as well. Surgical sales reps have opportunities to grow in their careers and positively impact their own earning potential. From base salaries to commissions and bonuses, surgical sales is currently an exciting field to be in. If you’re ready for to put your passion and determination to work, surgical sales is the career for you.